Let’s face it, Virtual Reality (VR) is all the rage at the moment. While gaming is usually flagged as the industry to benefit from VR, education shouldn’t be overlooked. 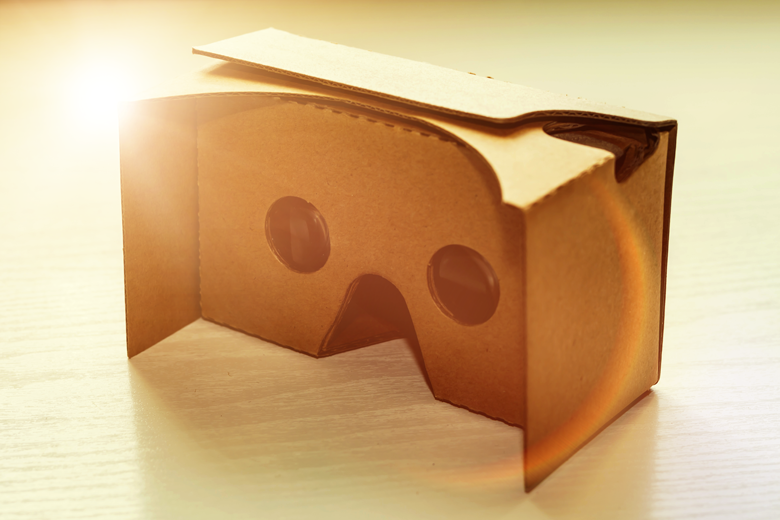 And when you consider the high smartphone penetration (not to mention performance) and initiatives like Google Cardboard, it seems strange that mobile VR’s penetration is still so low – especially in education and training. One massive reason that VR is such a popular educational device is its ability to create situations that would normally be too expensive to learn in otherwise – or simply too dangerous. Imagine the costs involved in taking mining trainees 3 km underground just to show them the ropes. It’s not just the cost though, having inexperienced trainees in active mines can be dangerous for everyone involved. VR is a safe alternative, but it is only feasible for a select few industries. The two factors inhibiting the widespread adoption of VR are: availability of content and hardware performance. A small target audience is the main reason for the shortage in quality VR content so it’s really only the hardware that stands between us and a virtual future. There are a few critical limitations that mobile VR needs to address before it can go into the education playground. Pixels play a big part in realistic imagery. Ever seen an ultra-definition TV? It is almost indistinguishable from real life. In fact, some people can’t tell the difference. But running that kind of resolution on a smartphone causes all kinds of challenges, including battery life and screen costs to name a few. That hasn’t stopped Sony though; they have launched the world’s first 4k smartphone, which is now leading the way to the potential of ultra-definition in mobile VR. This brings mobile VR one step closer to mass adoption in education. Frame rate is crucial to creating a believable experience. A great VR experience relies on a smooth and seamless visual experience. If the experience is ‘jerky’, learners are going to be distracted from the content – from learning itself. There is also simulation sickness to be concerned about. It’s virtually the same as motion sickness (see what I did there). Ill feelings are created when visual information is incongruent with perceived information. Frame rate plays a big part in this, although is not exclusively the cause. Most VR experiences need 90 frames per second to minimise the visual nastiness. Since the introduction of slow motion video, smartphones have solved the frame rate issue, which is critical for a comfortable learning experience while using VR. At this point, mobile VR is unable to track the position of the user in a 3D space. While some may believe that positional tracking isn’t critical to VR, it is to immersion. Full immersion is directly proportional to our ability to learn. The more focused we are, the more likely we are to remember our experiences. This makes positional tracking an important feature in educational VR. Area learning: This maps and remembers the area around you. Depth perception: Using Intel’s RealSense 3D camera, a device can accurately calculate depths as well as object interactions. Motion tracking: Using accelerometers and gyroscopes, the device can understand its position and orientation. Hand tracking is the next step to full immersion. In order to be fully immersed in what you’re doing, you need to be aware of doing it. The hands are the easiest way to bring activity into the virtual world. As mentioned above, immersion is critical for learning and retaining that knowledge. Bringing hand tracking into the equation is another step to ensuring that the learner feels apart of the experience. There is still a lot that needs to happen before mobile VR is firmly in the hands of the mainstream. Although there are arguments that Augmented Reality (AR) will change the game before VR even has a chance to properly mature – but with each, there seems to be a viable solution in the works. Author: Kyle Hauptfleisch with special thanks to Hendri Lategan for additional insight.